﻿ [Kodo Online Store in English][CD] Motofumi Yamaguchi "Ikkan Fugetsu Vol. 2: Tomoshibi"
All Items > CDs > [CD] Motofumi Yamaguchi "Ikkan Fugetsu Vol. 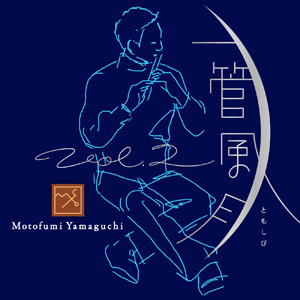 2: Tomoshibi"
[CD] Motofumi Yamaguchi "Ikkan Fugetsu Vol. 2: Tomoshibi"
Item Name [CD] Motofumi Yamaguchi "Ikkan Fugetsu Vol. 2: Tomoshibi"
All seven of these peaceful, contemplative recordings were created in the naturally serene surroundings of Kodo Village on Sado Island. Centered around the bright, crisp tones of the makobue & shinobue bamboo flutes, "Tomoshibi" floats across a rich sonic landscape: from the intricate harmonics of the eleven-string alto guitar, to a passionate duet where flute and piano intertwine in the Russian folksong, "Огонёк," also known as "A Little Light" in English & "Tomoshibi" in Japanese. Ikkan Fugetsu Vol. 2 Tomoshibi also includes the soulful spiritual "Nobody Knows the Trouble I've Seen," which is dedicated here to the late Akira Nino, the pianist who performed on the debut "Ikkan Fugetsu" album released in 2009.